Udaipur is referred to as the “Venice of the East”, the “Most Romantic City of India” and the “Kashmir of Rajasthan” (a reference to Dal Lake) and not without reason. Tourists flock to this enchanting old & modern town in the heart of the Aravalli Mountains, which offers three interconnected lakes within the town – the Fateh Sagar Lake, the Lake Pichhola and the smaller Swaroop Sagar Lake; along with forts, palaces, temples, gardens, mountains and narrow lanes lines withdrawn with stalls, relives the reminisces of a heroic past, valor and chivalry. Amar Vilas – The uppermost court inside the complex, which is a raised garden. 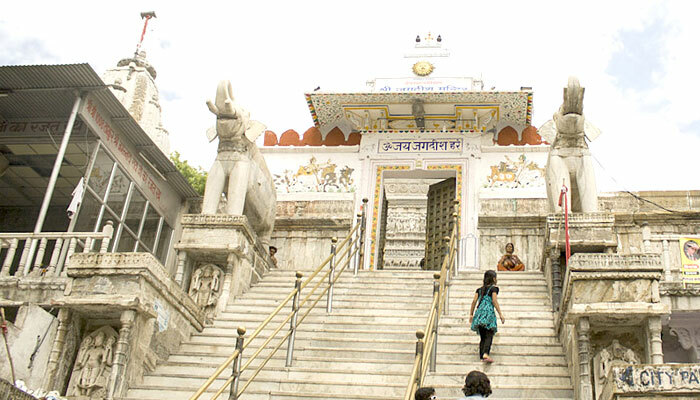 It provides entry to the Badi Mahal. It is a pleasure pavilion built in Mughal style. It has cusped arcades enclosing a square marble tub. ‘Amar Vilas’ is the highest point of the City palace and has wonderful hanging gardens with fountains, towers and terraces. 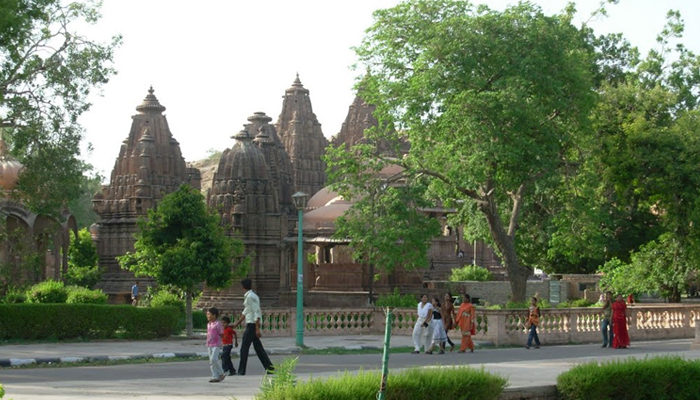 Jagadish Temple – Located 150m north of the palace in Indo-Aryan architectural style, the temple is dedicated to Lord Vishnu. The temple walls and the shikara or tower are decorated with carvings of Vishnu, scenes from Lord Krishna’s life and figurines of nymphs or apsaras. The street square, where the temple is located, is also known as Jagdish Chowk from where several roads radiate in different directions. Manak Mahal – Approach from the Manak Chowk, the palace has a raised alcove inlaid completely in mirror glass. One of the prominent emblems of Sun is depicted on the façade of the Manak Chowk, which can also be seen from the outermost court. 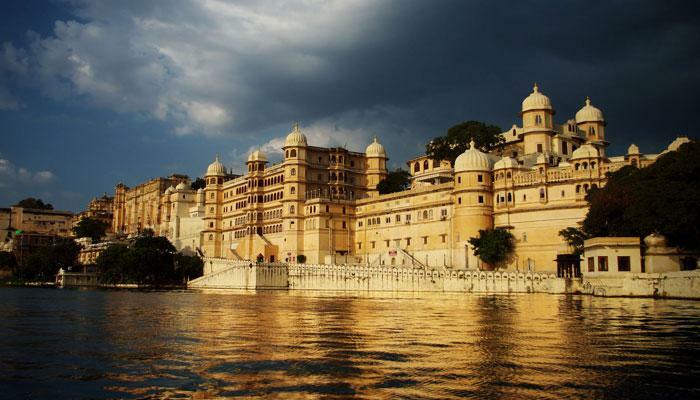 Udaipur is a lovely blend of water, lush green hills that set fire and passion in poet and considered as Venice of East. The city has 5 beautiful lakes that adds to ite kaleidoscope. Fateh Sagar Lake – An artificial lake constructed by Maharana in north of Lake Pichola in 1678 and to the north-west of Udaipur. Within the confines of the Fateh Sagar Lake, there are three small islands. 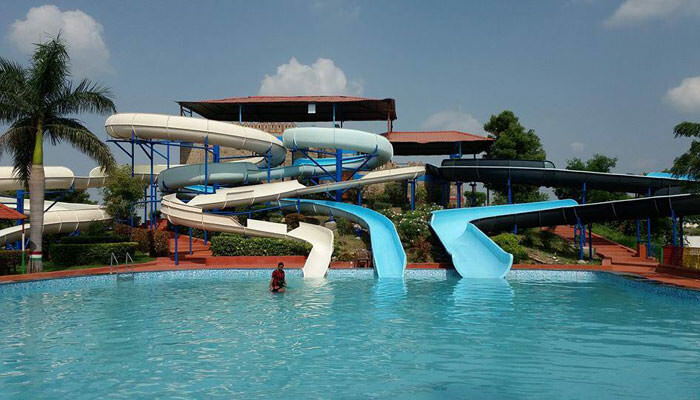 ; the largest of these is called the Nehru Park, the second island houses a public park with an impressive water-jet fountain and the third island is the address for the Udaipur Solar Observatory. 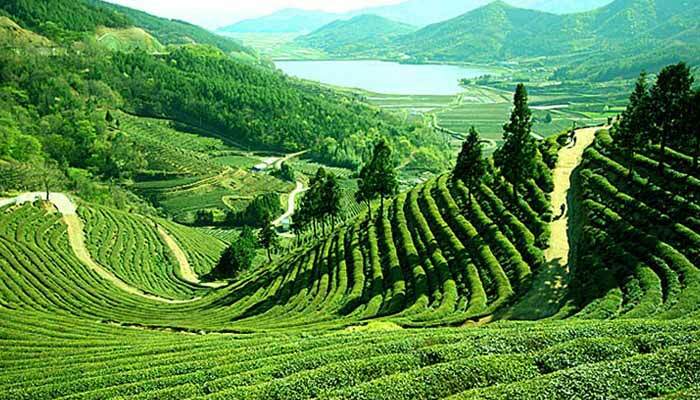 Every year a festival called the Hariyali Amavasya Mela (Green New Moon Fair) is organized at the lake precincts,in the month of August/September. Pichola Lake – An artificial fresh water lake, created in the year 1362 AD, named after the nearby Picholi village. 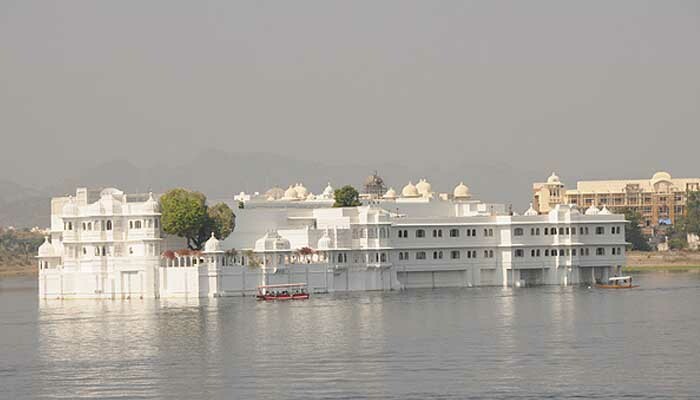 The lake’s surroundings and the several islands within the lake have been developed over the centuries, with palaces, marble temples, family mansions, and bathing ghats. Other Attractions Though, the city is otherwise small and most of the tourist places will take approximately 20-25 minutes for viewing but visit as each one has its own unique architecture that worth viewing. Saheliyon ki Badi – Built by Maharana Bhopal Singh. Saheliyon ki Bari means Garden of the Maids. 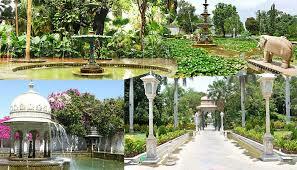 This garden area lies in northern part of the city and has fountains and kiosks, a lotus pool and marble elephants. Each water channel has its distinct sound and the mingling of these sounds complement the ambience of the place. Sukhadia Circle – A large roundabout in the city’s northern suburb of Panchwati, on the road to Ranakpur and Mt. Abu. centrepiece of the Circle is a large, three-tiered fountain just over 21 m. high, with scalloped dishes surmounted by a wheat-ear motif, representing prosperity. Illuminated at night, it is now a well-known landmark. Gulab Bagh and Zoo – A rose garden laid out by Maharaja Sajjan Singh is situated near the palace on the east side of Lake Pichhola. A library in the garden has a collection of ancient handwritten manuscripts and books. Within the garden, there is a zoo with tigers, leopards, chinkara gazelle, birds, and many wild animals. 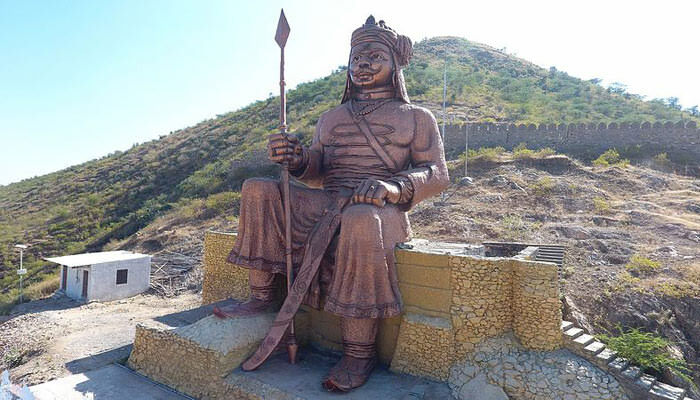 Doodh Talai – A rock and fountain garden and the sunset point from which one can enjoy the sunset view in Lake Pichhola and a panoramic view of the old city. Also one can enjoy the Aerial tramway (rope way) which connects one of the dudh talai gardens to Karni Mata temple.